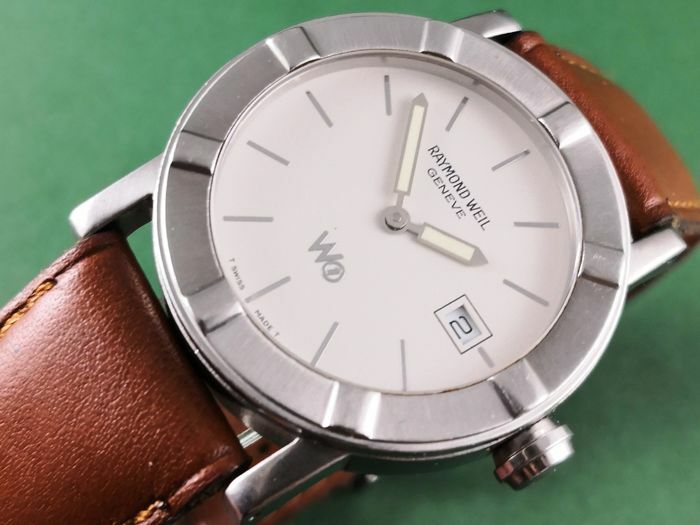 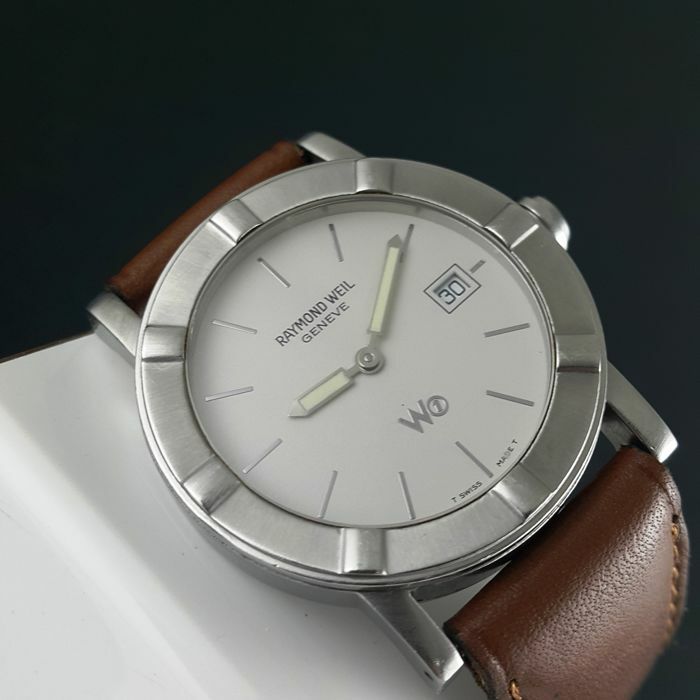 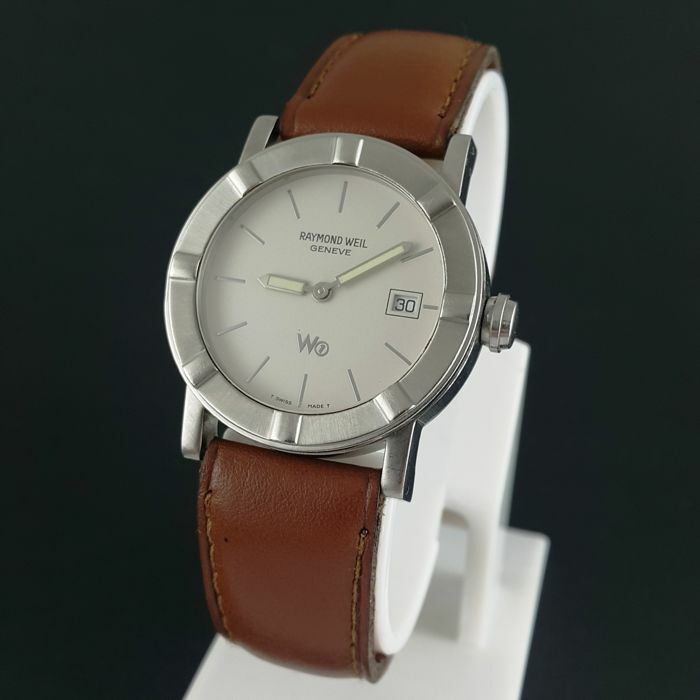 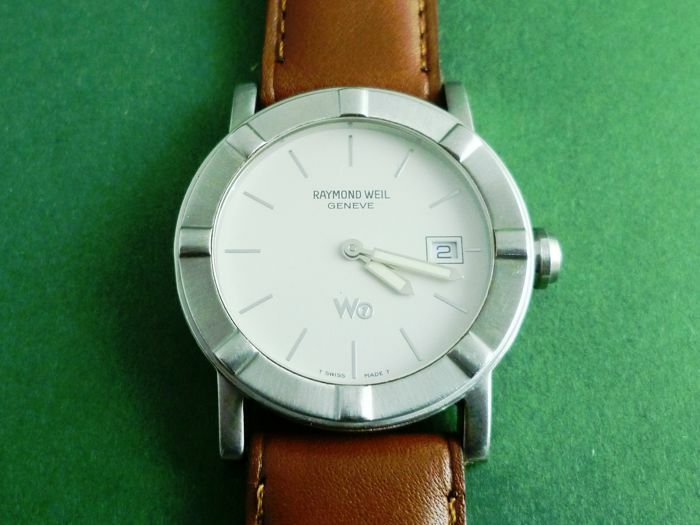 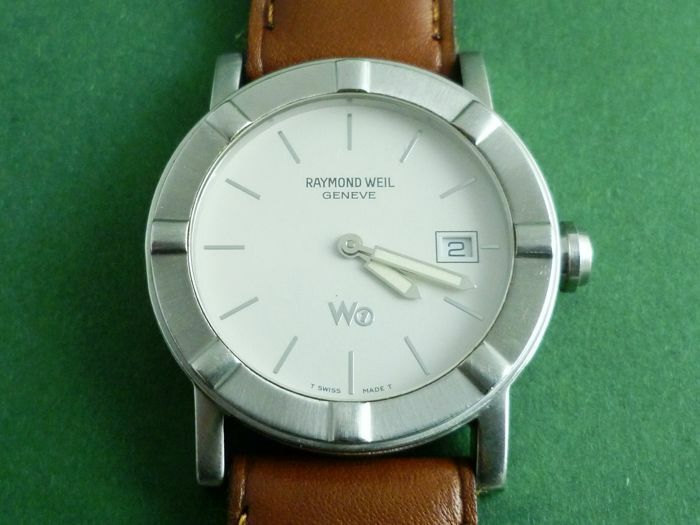 Here we have a Parsifal W1 model of Raymond Weil, Ref. 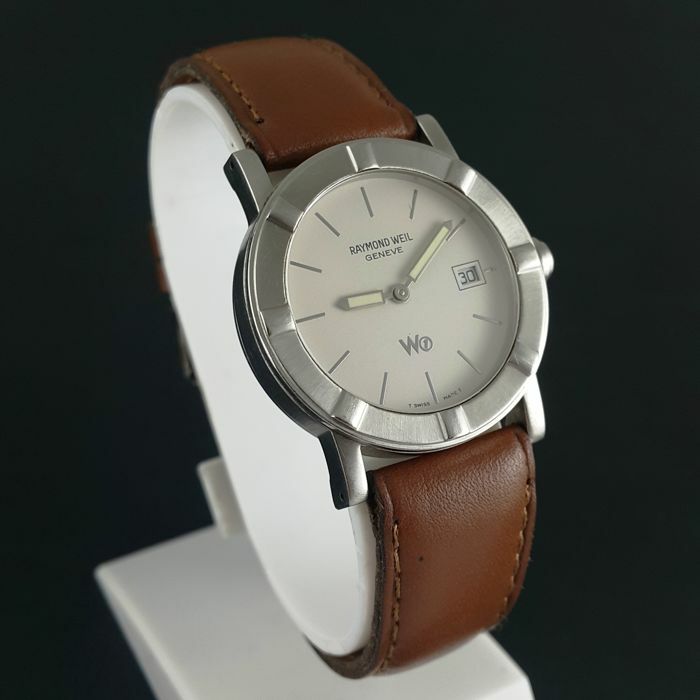 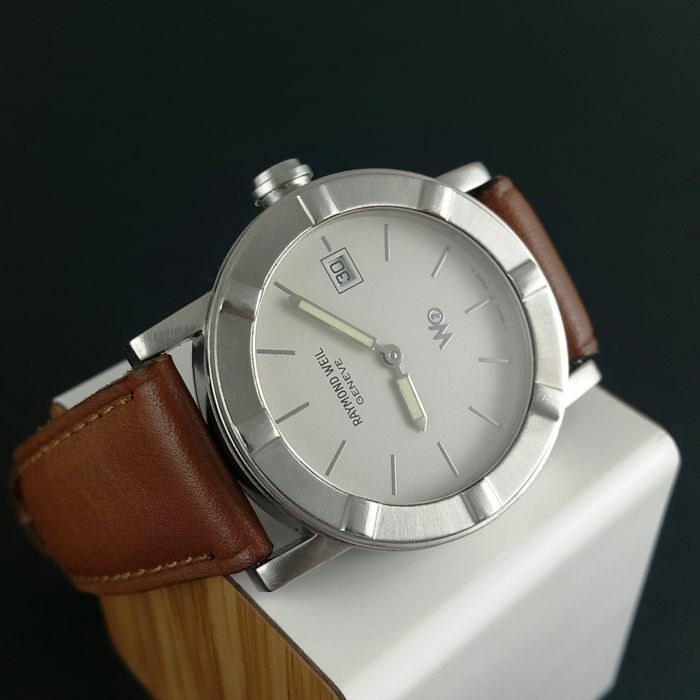 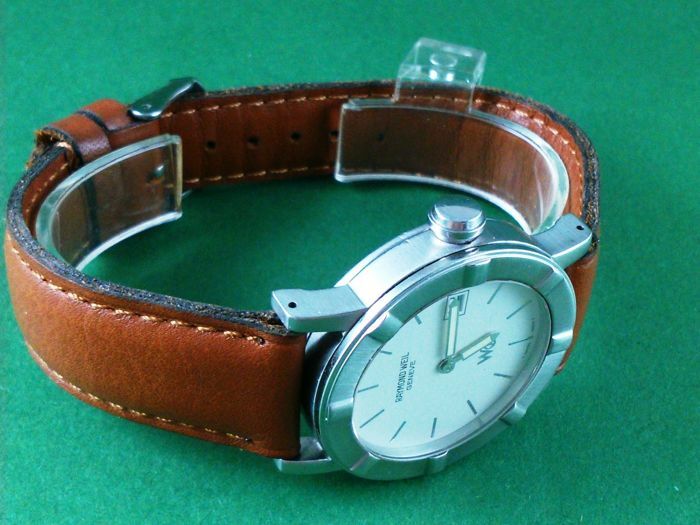 6000, all stainless steel case and non-original leather bracelet, quartz wrist watch, Swiss Made. 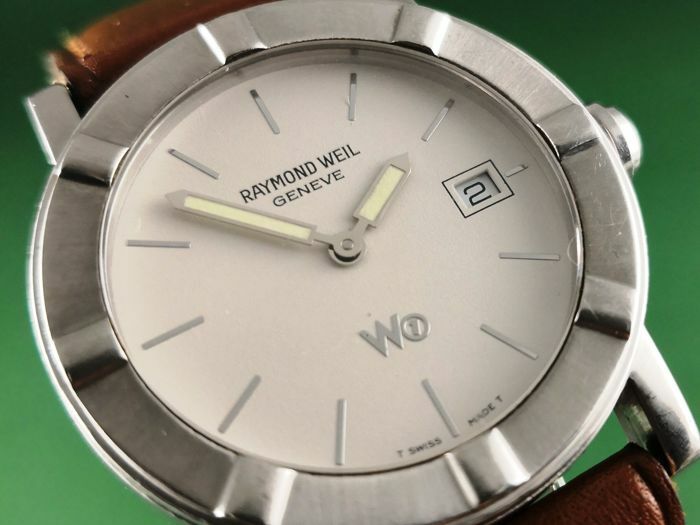 The case from right to left and excluding the crown is about 34 mm, up to down is about 40 mm. 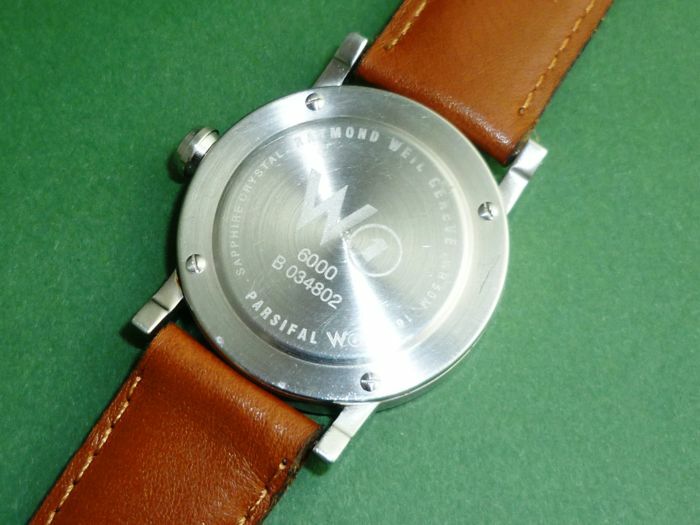 The bracelet is about 18 cm excluding the case. 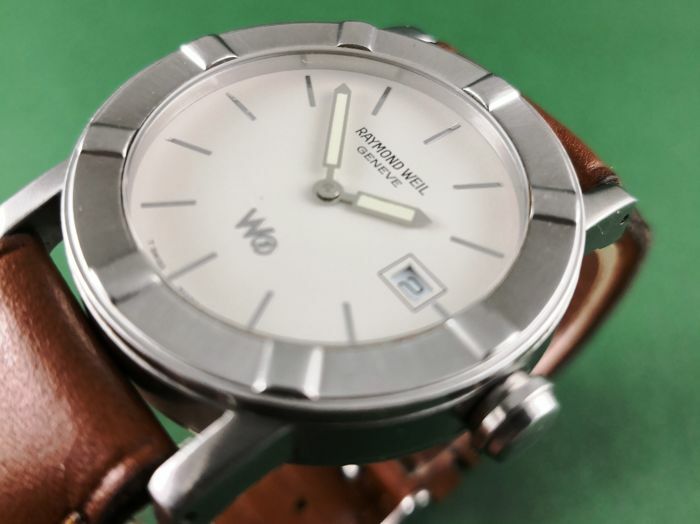 Sapphire crystal, Water resistant to 50 m/165 ft (not tested). 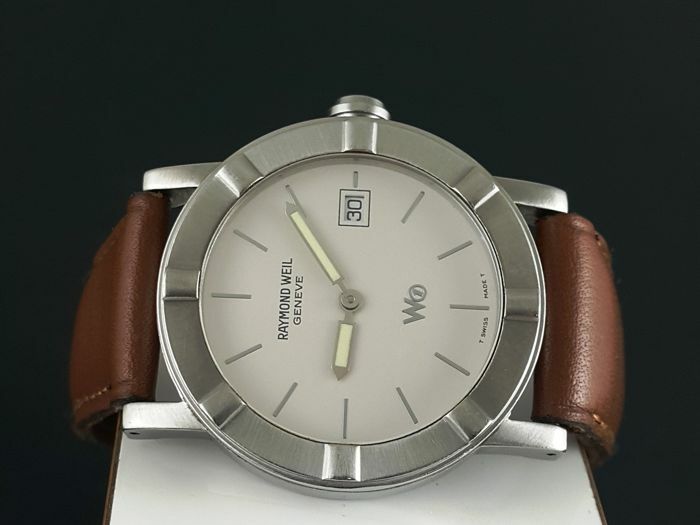 All photos you see above are original photos of the actual watch, no any renovation on the pictures so you'll get what you see. The postage (Dhl Express or Standart International Postage) includes the watch and a non-original leather bracelet only so no any extras. 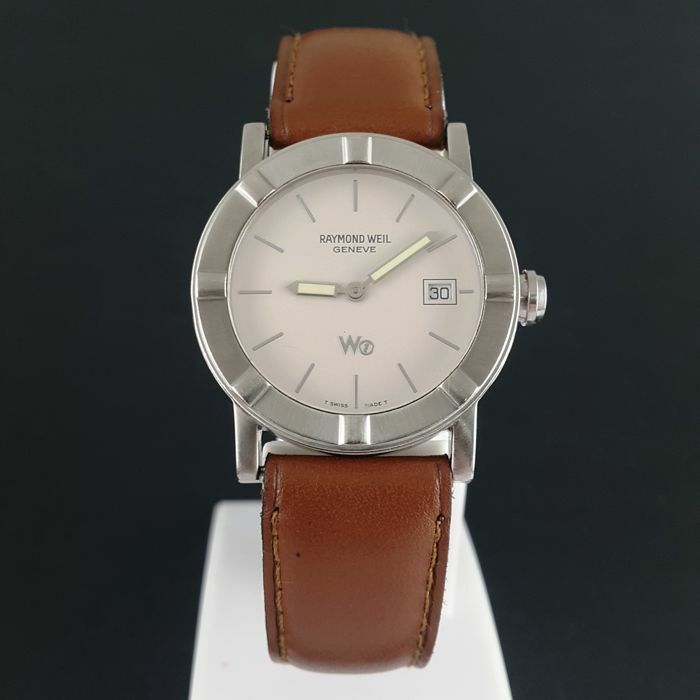 You can pick up this lot from the seller: TRABZON (Turkey), Turkey.